If you have any questions about the 4 You information page below please contact us. Motor yacht ‘4 YOU’ is a 47 metre (154' 2") 2009 Heesen luxury motor yacht. M/Y 4 You is a displacement superyacht was built from steel and displays typical high quality, coming from the well known Dutch superyacht builder Heesen. For guest accommodation the luxury yacht has four double cabins, with twin beds and ensuites, and one twin cabin. Due to the use of Pullman bunks in some of the yacht’ cabins she can sleep a total maximum number of up to 12 guests. Two MTU 8V 4000 M70diesl engines give the ship a cruising speed of around 14 knots. All amenities and water toys are accounted for and she has zero sped stabalisers and a deck Spa Pool. 12 PAX in 4 doubles and a twin cabin. We do have available further amenity, owner and price information for the 47.00m (154' 2") yacht 4 You, so please enquire for more information. 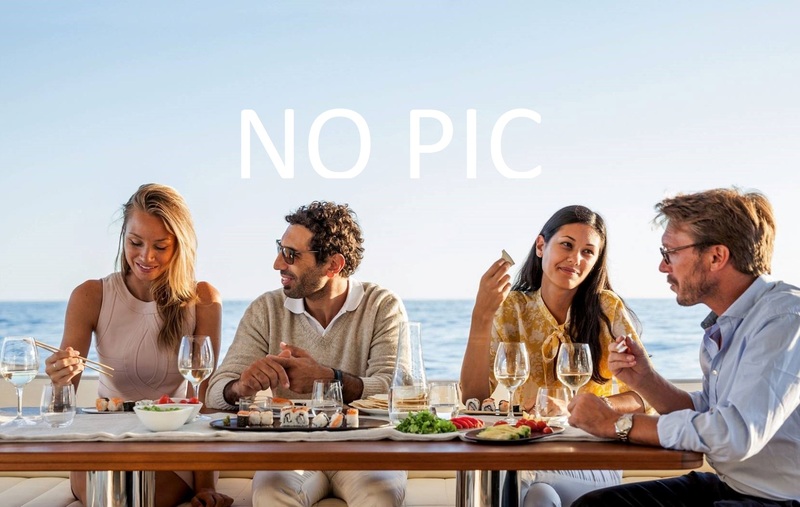 The luxury yacht 4 You displayed on this page is merely informational and she is not necessarily available for yacht charter or for sale, nor is she represented or marketed in anyway by CharterWorld. This web page and the superyacht information contained herein is not contractual. All yacht specifications and informations are displayed in good faith but CharterWorld does not warrant or assume any legal liability or responsibility for the current accuracy, completeness, validity, or usefulness of any superyacht information and/or images displayed. All boat information is subject to change without prior notice and may not be current.